I had to get in one more Easter craft this week! 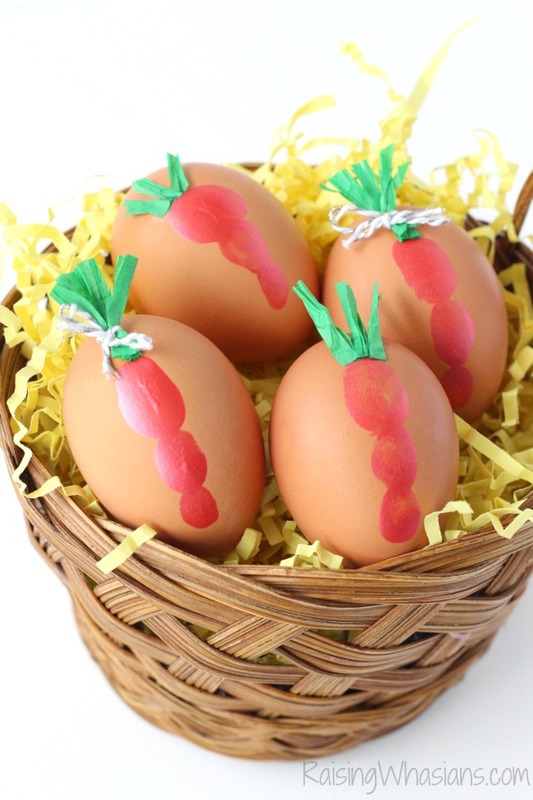 We colored eggs with these ADORABLE Fingerprint Carrot Easter Eggs! We got our Spring Clean on in the Bathroom this week with 6 Places You’re NOT cleaning around your toilet (ewww!) 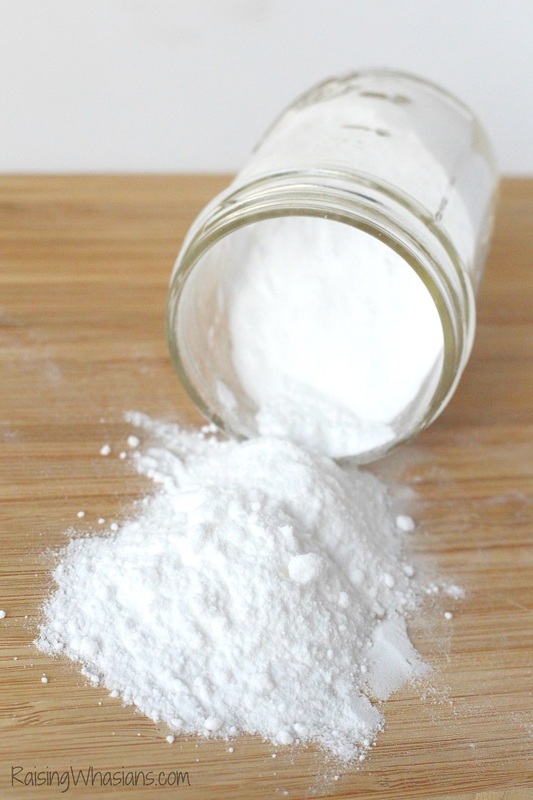 + this Ah-mazing Lemon Rosemary Natural Toilet Cleaner. You won’t BELIEVE the before and after photos! I had a BIG ugly cry moment as I watched the new Tangled: The Musical aboard the Disney Magic. See why this is a Disney MUST see! Have you tried new Carrabba’s Small Plates yet? Check out the drool worthy pictures + special offer! Hunger Games: Mockingjay Part 2 just came out on Blu-Ray this week. Here’s 4 reasons why you need to own it NOW. And in my honest Family Focus Friday moment, I’m sharing what a Mom Fail Easter Treat looks like. Le-sigh. Anyone want some sprinkles?! It’s time to celebrate, because it’s the Weekend Giveaway Round Up 3-3! Today I’m rounding up the active giveaways at Raising Whasians, including all of the FUN that happened on the blog this week. With a $100 Amazon Gift Card, new Step2 Toy, $250 Seafood, $575 Eco Prize and more, it’s definitely a HIGH value giveaway weekend! There’s 2 giveaways that end TODAY too, so be sure to gather up those last minute entries to increase your chances to win! It’s a party in a mug! 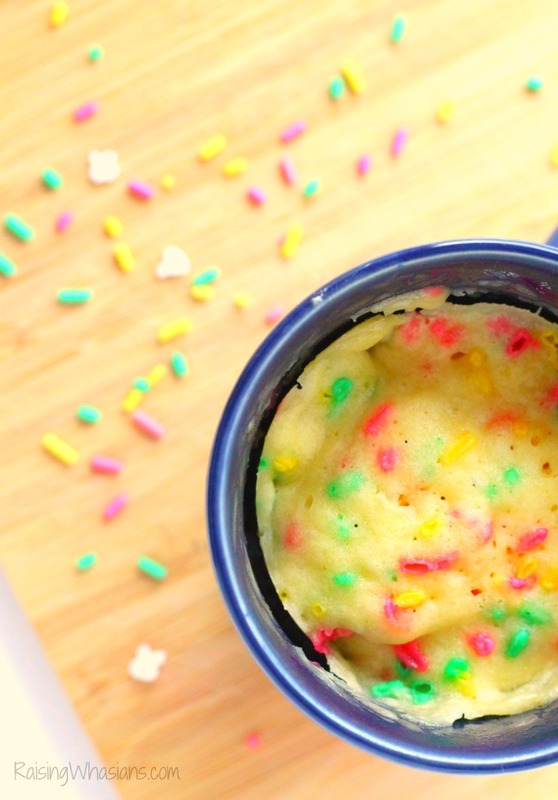 This Gluten-Free Funfetti Mug Cake Recipe is as fun to make as it is to eat! You are only minutes away from your personal sized dessert! Disney’s Zootopia movie is in theaters today! Check out the full Zootopia movie review, interviews, Easter Eggs and more including if it’s safe to take your kids to the newest PG rated film. I got a sneak peek of the 2016 Epcot Flower & Garden Festival! 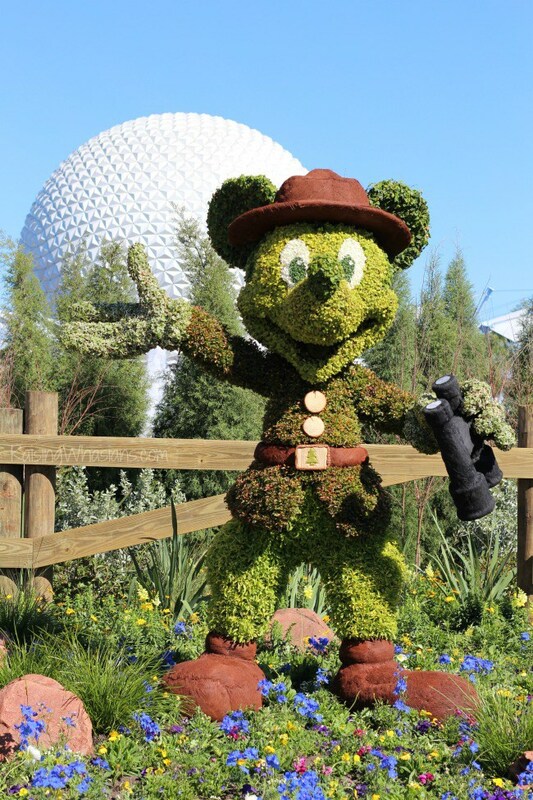 Check out all of the details including new topiaries, new food offerings and more! My DIY Finding Dory Party is on the blog this week too! 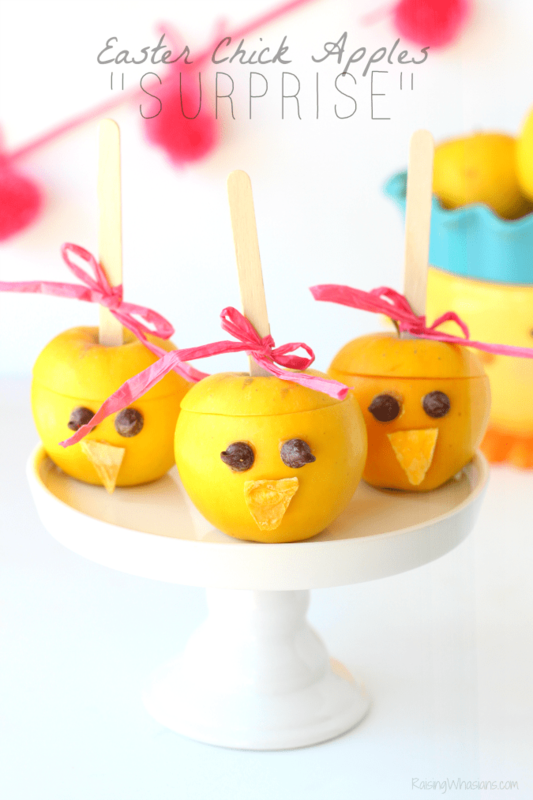 So many adorable ideas including food, drinks, decor and more! Worried about your kids’ online safety? Check out these tips to keep your little ones safe online, including an exclusive coupon code. If you’re looking for a FUN Easter gift idea, check out why my son loves the new Lego Star Wars: Droid Tales, now on DVD. Ready to enter and win? Here’s the list of active giveaways, including end dates. Be sure to grab your daily entries! Hello, weekend! You’ve never looked so good! It’s the weekend giveaway round up 2-26, with ALL of the active giveaways at Raising Whasians in one place, so you can grab your last minute entries and your daily entries. Coffee to cash, Barbie to a HUGE $575+ value mommy prize pack, it’s definitely a fun week for giveaways! I’m also wrapping up the entire week of great goodies, including crafts, a delicious recipe, and Disney travel tips! Be on the lookout next week for a HUGE giveaway + more from Disney fun from the #ZootopiaEvent! I’m sharing my BEST Tips for visiting Disney’s Animal Kingdom – from food to rides to insider tips! OH YUM! 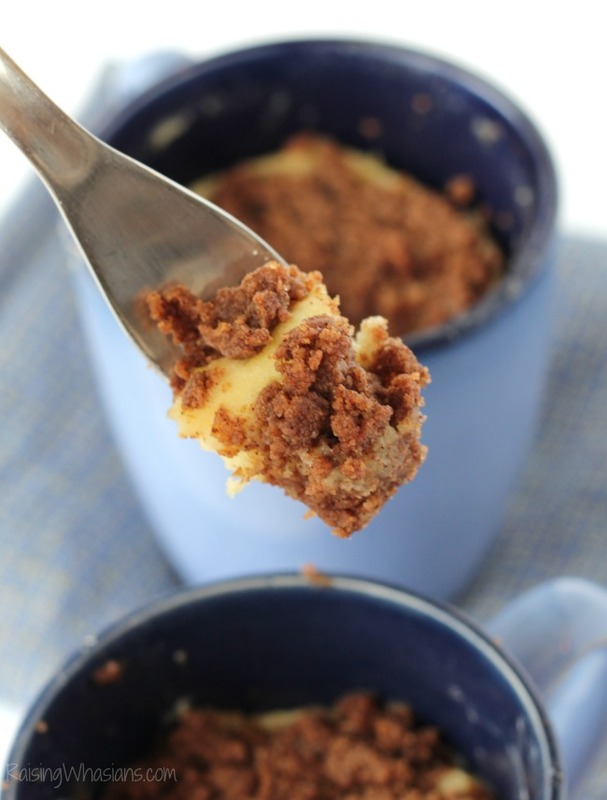 Easy Coffee Cake in a Mug Recipe with Extra Crumble is to die for! 6 minutes away from delicious! With the holiday right around the corner, these 50 St. Patrick’s Day Crafts for Kids should keep you and your family busy all the way through March 17th! Welcome to the first Weekend Giveaway Round Up 2-5 for February 2016! It’s been an eclectic and fun week of sharing recipes, crafts, Disney sneak peeks and more! I’ve done a quick recap of the week in case you missed out, and listed all of the active giveaways. There’s gift cards, $400 prize packs, giveaway hops and more…including a couple of giveaways that end this weekend! And don’t forget to check out the new VeggieTales giveaway for Valentine’s Day too. As always, I am so appreciative of every comment, every share, and every visit to the site. You guys really make my job so much fun! 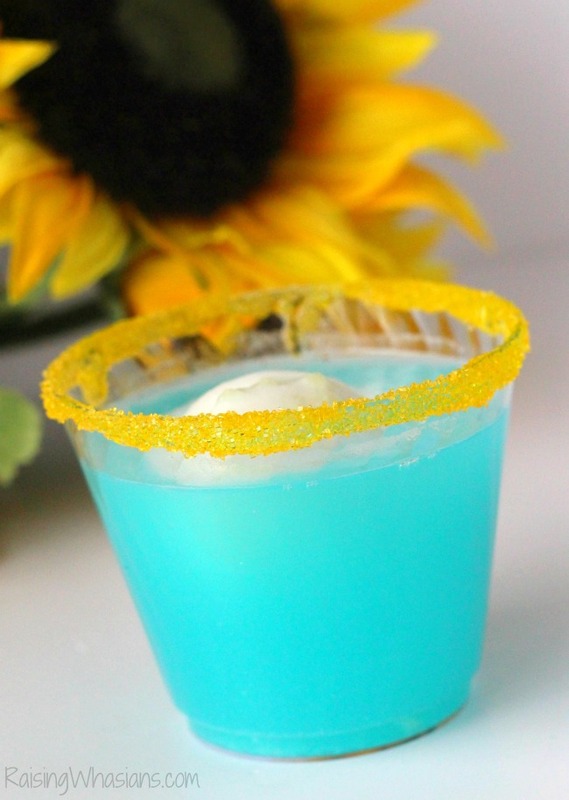 How pretty is this Frozen Fever Party Punch? It’s the next post in my daughter’s Frozen Fever Birthday Party series. SO ADORABLE! 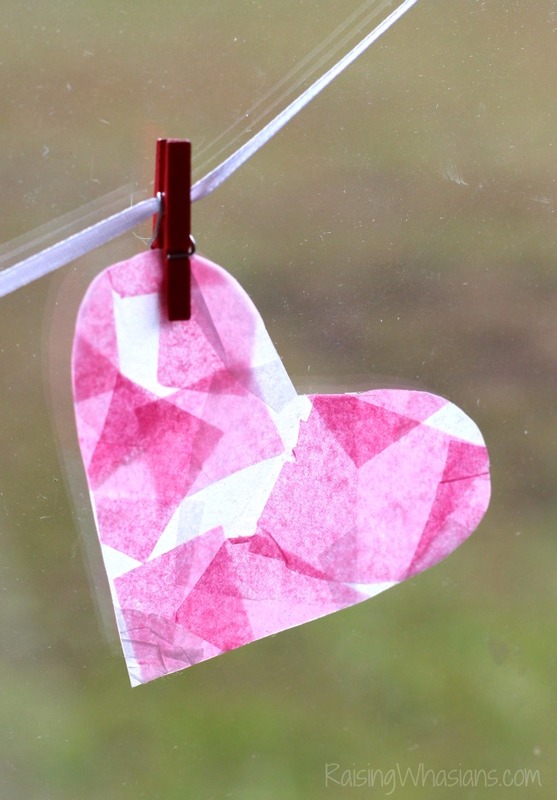 This Mosaic Heart Banner craft is perfect for hanging in your window this Valentine’s Day! I shared my Behind the Scenes Look at Zootopia, including tour of the new Disney Animation building, chat and demo with the animators! Did you see the crazy stats? I talked about the Truth About Financial Stress this week. I was shocked! 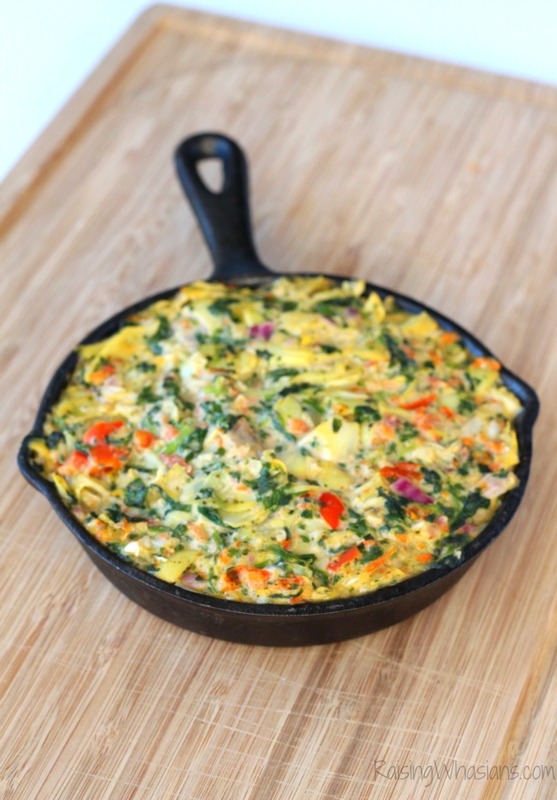 Join me at a FREE Cooking Demo (includes free samples!) at Macy’s Millenia on 2/13. Love to run? I have the Florida race for you! The Par4Miler race is coming this March and we have a special Par4Miler Race Giveaway so you can get the rush, the bling and all of the fun that comes with a fabulous race! WoWSA for the deliciousness on the blog this week. This Light Spinach & Artichoke Dip will be a HUGE hit at your next party with this secret ingredient. We went Behind the Scenes with Marvel’s Agent Carter with a set tour & costume design visit. 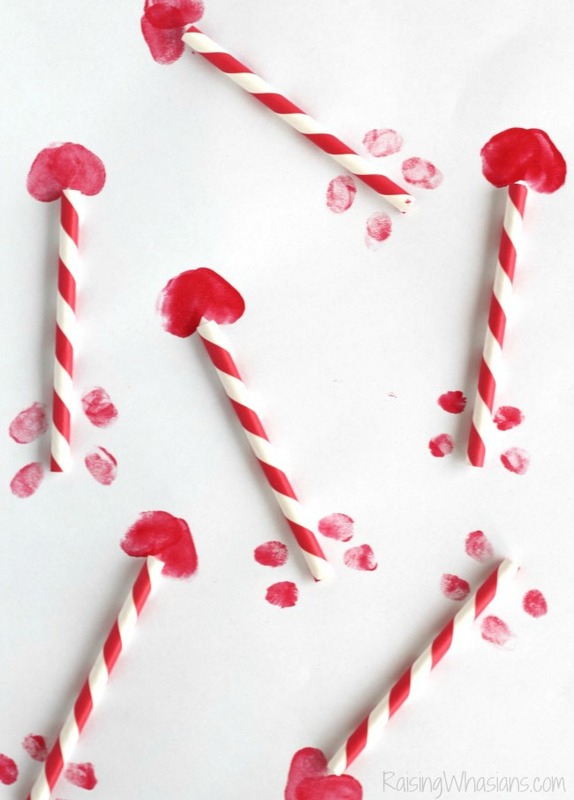 How adorable is this new Cupid’s Arrow Kids Craft on the blog this week? These Loaded Vegetarian Nachos are so good, you won’t miss the meat. Make this EASY Homemade Berry Sugar Scrub to boost your shower routine this winter. The LeapFrog LeapTV is keeping my kids active in the new year. We ended the week with another hilarious adventure with my daughter. For losing a day this week, I’m not sure how everything got so busy! Welcome to yet another addition of the Weekend Giveaway Round Up 1-22, including a brand new Lego Friends Giveaway that just went up today! I’m sure you’ve been noticing quite a few changes here at Raising Whasians. Less posts, less emails, and more focus…I’m trying to get out amazing content, meaningful content while still providing the stuff you love. Hoping that we are moving in the right direction??? Not sure, let me know! There’s a few giveaways to enter this weekend, including an amazing $98 Crockpot Prize Pack that ends TODAY and another delicious giveaway that ends Saturday! Don’t forget to grab your daily entries and enter ALL of the giveaways to increase your chances! 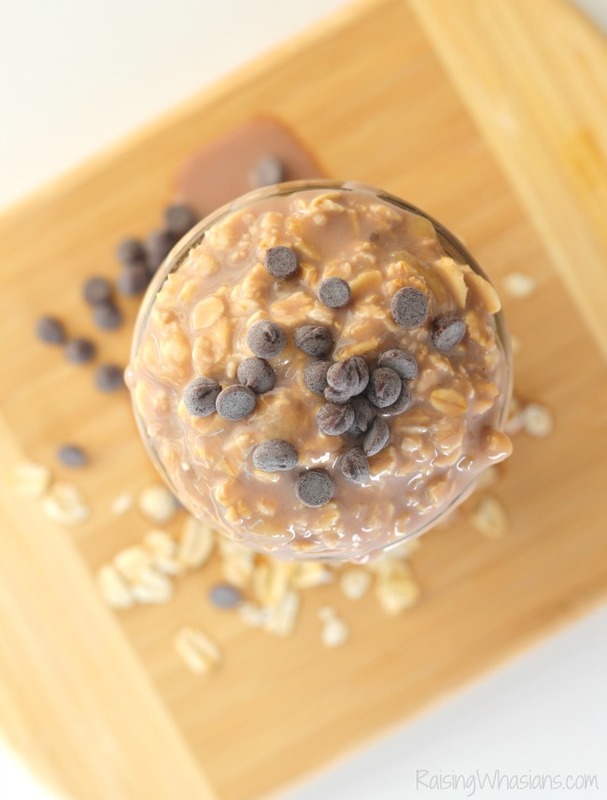 We made a delicious Banana Chocolate Overnight Oats Recipe, perfect for busy school mornings – so simple to make the night before! The CUTEST craft ever landed on the blog today as I shared more details about my daughter’s 3rd birthday party! 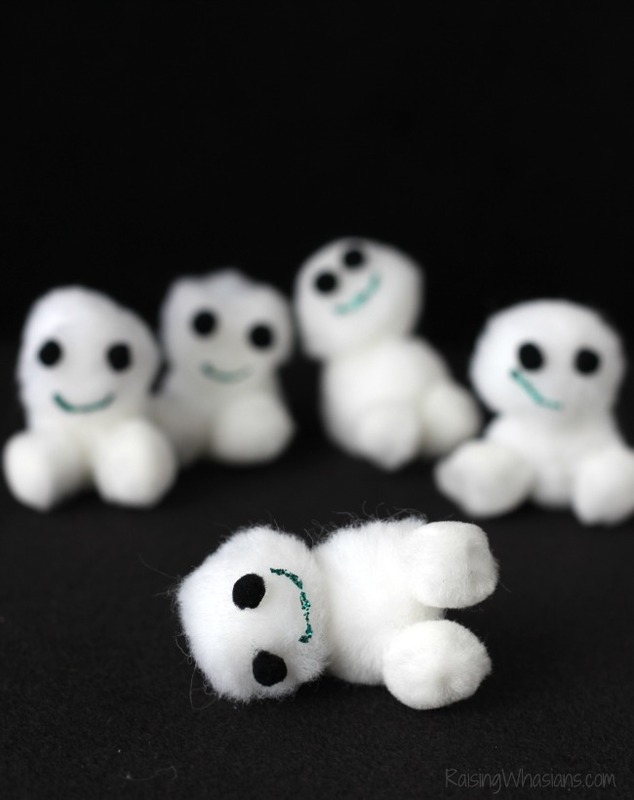 Make these adorable Frozen Fever Snowgies for a fun and frugal kids craft. Marvel’s Agent Carter Season 2 premiered this week! Take a look at our exclusive Agent Carter interviews with stars Hayley Atwell & James D’Arcy + the producers! Looking to visit Orlando soon? Check out my top 5 Family-Friendly Dinner Shows in Orlando including video of the famous fire dancers! Hi, everyone! Happy Star Wars Weekend! If you haven’t noticed, it’s been Star Wars INSANE here at Raising Whasians! Tons of amazing stuff including exclusive Star Wars Interviews with the stars and one-of-a-kind SPOILER FREE review of the movie (including whether you should bring the kids). Be sure to check it all out here at the Weekend Giveaway Round Up 12-18, including all of your active giveaways to enter and win! $75 JCPenney Gift Card, $100 AMEX Gift Card, 1-Year of FREE Redbox Rentals, $150 Pet Food and more! ADORABLE BB-8 Kids Craft was made with the kids this week for total cost of $1.36! 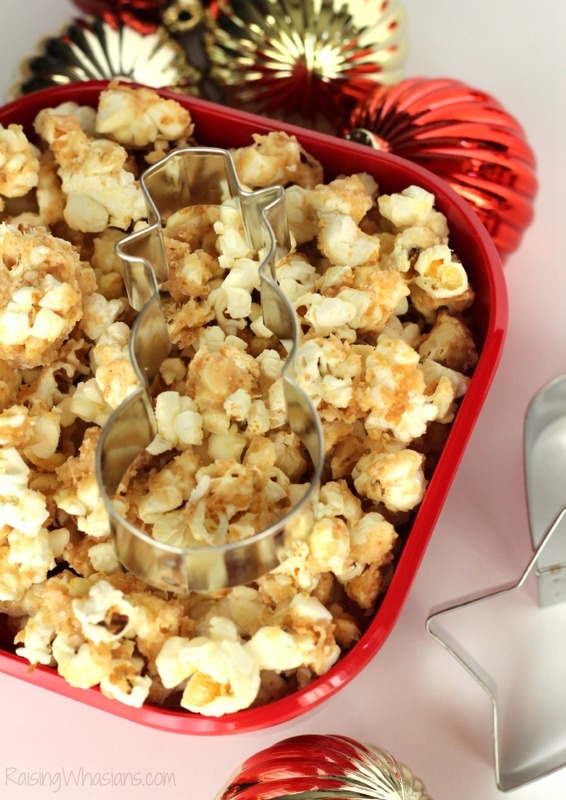 This Sugar Cookie Popcorn Recipe is INSANELY amazing! Is Star Wars: The Force Awakens Safe for Kids? Check out the SPOILER FREE movie review! 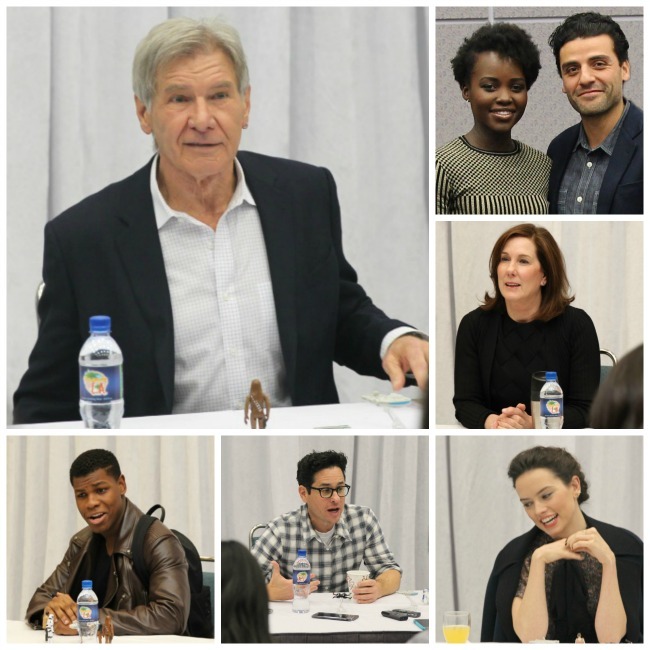 Exclusive Star Wars interviews with Harrison Ford, J.J. Abrams, Daisy Ridley, John Boyega, Lupita Nyong’o & Oscar Issac & Lucasfilm President Kathleen Kennedy are all on the blog this week for opening weekend of Star Wars: The Force Awakens! It’s not too late to give the gift of education with Florida Prepaid! Hurry and lock in your low rates for 2015! No joke! Not only did I get to talk with Harrison Ford, he actually held my shoulder! WHAT? Welcome to an exciting edition to the Weekend Giveaway Round Up 12-11. This week it’s been nutso with a surprise press trip to cover Star Wars: The Force Awakens, delicious goodies and more! Exciting, right? Let’s not forget 9 active giveaways on the blog too, from amazing skin care products to $100 AMEX Gift cards, PayPal cash, jewelry and more! One giveaway ends TONIGHT! As the holiday season closes in, it’s definitely an amazing time to enter and win! I went on an exclusive press trip for Star Wars: The Force Awakens! 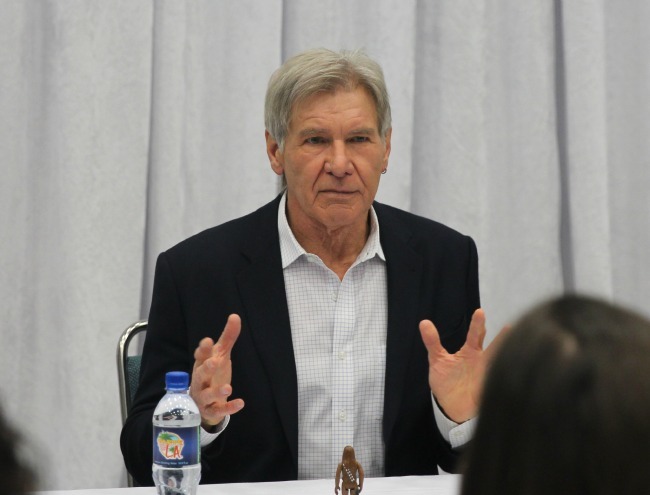 Already gone and back, here’s the exclusive Harrison Ford Interview we had! YUM! 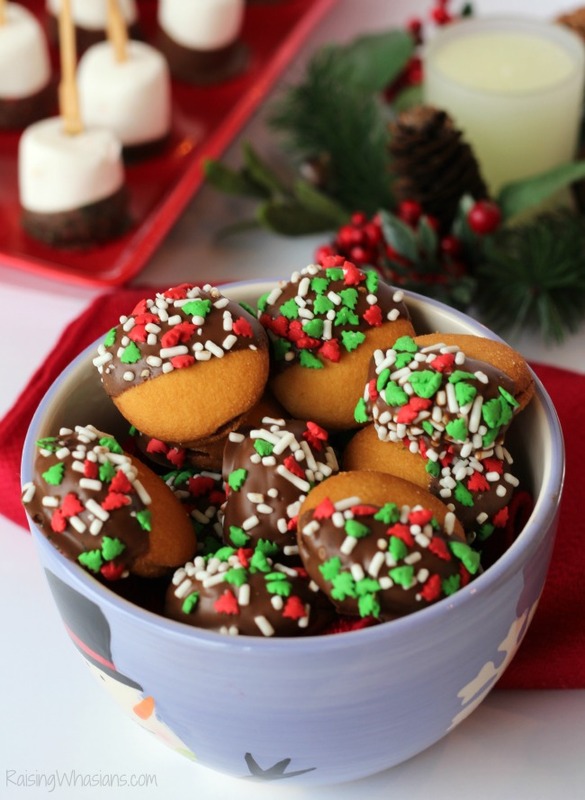 These Nilla Jamwiches are the perfect cookie for your next holiday exchange! EASY & No-Bake! Here’s an amazing round up of my top 25 Christmas Crafts for Kids this season! There’s 5 Christmas Beliefs I want my kids to know. Ant-Man is on DVD! Here’s why you need to own it! Happy first weekend in December! Are you excited for this month? I DEFINITELY am! I’ve got a SURPRISE this weekend that you’re not going to want to miss. Stay tune 🙂 Here’s the Weekend Giveaway Round Up 12-4 to finish up your week! Are you looking for a tablet for the holidays? Yup, there’s 2 of those in this weekend’s round up! 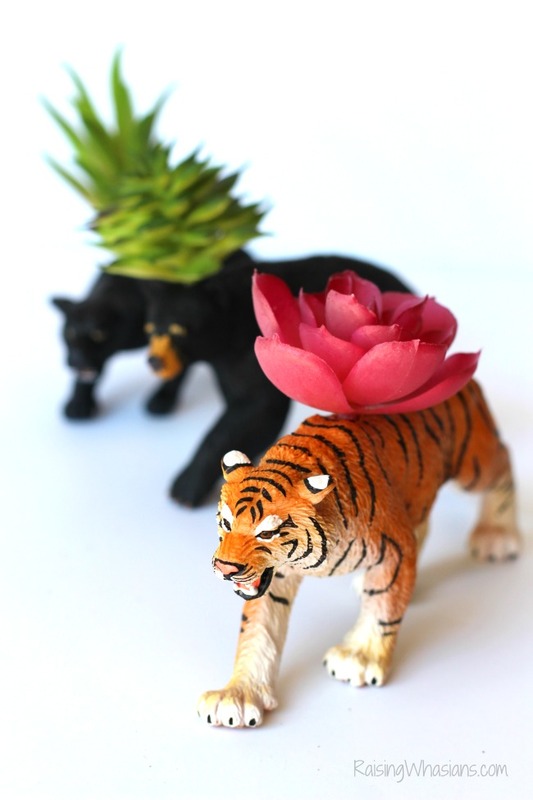 Toys, Skin Care, Jewelry, CASH and more are all included in this weekend’s giveaway round up! With 8 active giveaways, there’s definitely some fun to be had before Christmas arrives! Reminder that the date is the LAST day to enter and win! I LOVE our latest holiday kids craft! 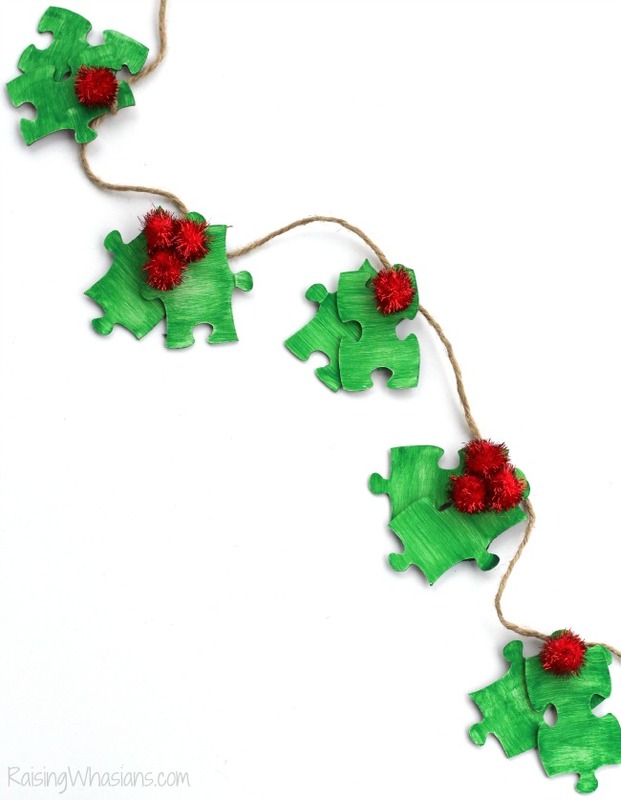 This Puzzle Piece Holly Garland is the perfect craft & upcycle for missing puzzle pieces! We made ADORABLE Palm Tree Christmas Cookies. SO fun! It was really emotional this week when I had a chat with my daughter. Bring tissues! I reflected on our visit to Washington D.C. with beautiful sunset pictures! I shared my first homeowner nightmares, yikes! Ready for this weekend’s giveaway round up? Be sure to grab your daily entries on all 8 of these to increase your chances! Good luck!